Home » Blog » communal cleaning – a flat owner’s nightmare? You may be the king or queen of clean inside your flat, but what do you do if the shared areas in your block of flats don’t meet the same standards of cleanliness? 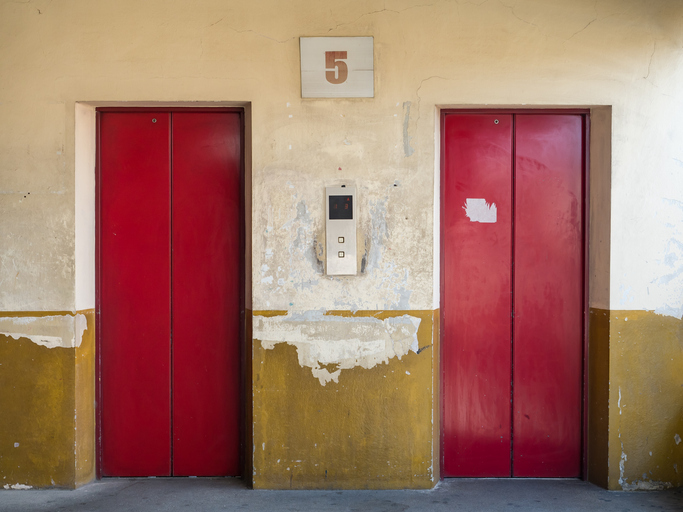 Neglected communal space is one of the biggest bugbears of flat owners, as substandard hallways and stairwells can crush the value and desirability of your property and, in extreme circumstances, even become a threat to your health. The problem is that one man’s clean could still be another man’s dirty, depending on how exacting your standards are, so how can we agree what ‘good enough’ looks like when it comes to communal cleaning? And, what can you do if the performance of your cleaning contractor isn’t up to scratch? what cleaning responsibilities do property managers have? Responsibilities can vary from block to block, depending on what is set out in the lease and the nature of the management contract. Service charges usually cover the cost of cleaning shared spaces, but it’s always worth checking the small print to see what is included for your block. Once you know what your lease says, you’re in a better position to check these terms are being met. The exact cleaning needs of your block will depend on it’s size, design and use. For example, is the hall carpeted or tiled? How many residents use the shared spaces? Is there a lot of glass or are there other fixtures that can gather dust and grubby fingerprints? Can people store stuff in the shared spaces, like bikes or buggies? Are there communal bins in the hallways? And so on. If your building is being managed properly, a detailed cleaning schedule should have been worked out in advance between the managing agent or landlord and their professional cleaning contractor. An initial site visit would take into account all of the specific needs of your building, working out what needs to be cleaned, how and when. In our experience, this cleaning schedule should also be reviewed regularly to make sure the jobs on the list and the frequency they get done continue to be right for the block and it’s residents. If your block isn’t being cleaned and taken care of regularly it’s very easy for things to get out of hand. What starts off as an annoyance can easily escalate into a health and safety concern. For instance, rubbish left in shared areas for too long can quickly attract insects or vermin, and dirty floors and door handles can become a breeding ground for germs. Not good. Regular cleaning doesn’t necessarily mean the entire block needs bleaching to within an inch of its life every week. There might be some jobs that only need doing once every few weeks or months (for example, window cleaning or a deep clean of carpets). The important thing is that the right jobs get tackled at the right time. If you’re concerned about the frequency of scrubbing in your block, why not ask your managing agent for a copy of the cleaning schedule so you can see what is supposed to be done and when? If you have any concerns, raise them quickly to help prevent little problems escalating into big ones. It’s not always possible to catch sight of staff from the appointed cleaning company if you’re out at work during the day, but that doesn’t mean they’re not doing the job. We always request that our cleaning contractors pin up a visible record sheet that is signed each time an area is cleaned. If there isn’t one in your block, why not ask for one to be put up so cleaning is easier to track? what should I do if the communal areas of my flat aren’t being well maintained? A word to the wise, it’s very likely that under the terms of your lease you will have an obligation to keep communal areas free from clutter and rubbish. Every resident in the block should be doing the same. This isn’t just for safety and security reasons, but also so that the cleaners can do their job properly. It’s important that all residents in the block uphold their end of the deal here. If you have any concerns over cleaning, first check that the cleaners could actually access the bits of the building that needed attention. If communal clutter isn’t an issue and the cleaners simply don’t appear to be doing a good job, you should raise this with your property manager. Bear in mind that there should be a pre-agreed schedule and set of standards that the contractor is supposed to be working to, so it may be helpful to take photos of anything you think looks amiss. This will help your property manager to investigate properly. As a leasehold resident you have the right to live in a property that is safe and in a good state of repair. A good property manager will jump on your queries quickly, but if your concerns are falling on deaf ears you could consider escalating to environmental health department of your local council. They will take action if they think the problem might result in a health or safety risk to you or others.